Setting up employee drug screening, including pre-employment drug testing, requires awareness of compliance rules for drug screening, finding certified drug screening providers (required in some states), and creating a drug testing policy and budgeting for drug screening costs. While more than half of all businesses drug screen employees, only about 39% of small businesses with fewer than 99 employees do so. These eight steps, including a free drug testing policy template, will help you implement employee drug screening. There are no federal compliance laws that cover substance abuse screening. Therefore, individual states and other regulatory agencies have stepped in to clarify what’s appropriate and what’s not, such a requiring the employer to provide advanced notice (Alabama, Oklahoma and Washington) or prohibiting random drug testing (Vermont and Rhode Island). The American Civil Liberties Union provides an excellent state-by-state summary. Here are the more common requirements for drug screening across states and industries. Consider these as best practice guidelines, even if you’re in a state or industry that doesn’t mandate every one of these. We’ve provided a sample drug test policy below. 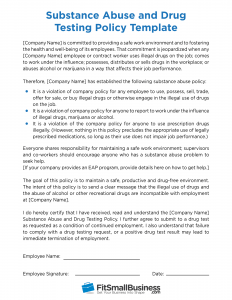 Providing employees with advance notice of your drug testing policy or publishing it in your employee handbook is a good practice and mandated in some states. For example, Florida requires employers to provide 60-days advance notice of their drug screening policy prior to conducting any employee drug tests. Providing employees with their test results is often done by the lab itself. However, if you’re in a state that requires you to provide results within 24 hours (South Carolina) or five days (Alaska), you’ll need to make sure this happens to avoid violating state law. Some states allow employees to dispute the findings. For example, in Washington state, you can’t terminate an employee based on the first failed test result. You’re required to re-test and confirm. The same is true in Nevada. However, in Maryland, if an employee wants to be re-tested, they’re required to pay for the second test themselves. Because drug test results are medical information, they’re protected in all states by the Health Insurance Portability and Accountability Act (HIPAA), a federal law. Therefore, employee test results can’t be shared without prior authorization from the employee. You’ll need the employee to sign a form allowing the test results to be shared with you, the employer. The form, called a general consent, is typically obtained at the drug screening lab. A sample is provided below. Nonetheless, you need to be careful that information about an employee’s drug test results isn’t shared inappropriately with individuals in your organization or others who have no right to know, such as the employee’s spouse, parents or co-workers. Many states require that drug screening be completed by a certified lab. Other states only require that a third party do the testing, whether certified or not. Some states don’t specify who does the drug testing. However, as a best practice, we recommend using a certified lab that’s not connected in any way with your business. If you do any contracting for the federal government, you’re likely aware of the Drug-Free Workplace Act of 1988. It has specific requirements for each of the items listed above, including requiring a written policy, training employees on creating a drug-free workplace, drug test notification and penalties for noncompliance. It applies to any business doing work for the government. Because drug screening is mandated in many industries, it’s easy to find a national provider like Quest Diagnostics or National Drug Screening to test your employees. There are also local options, such as urgent care clinics or hospitals, that can assist you. Prices will vary according to the test provider, the drugs being tested for and the testing method. Some of these provide drug testing outside the United States as well. Just call the number on their website or, in some cases, order the test online. The easiest way to find a reliable local drug test company is to call businesses in your area that test their own employees and ask them who they use. Another way is to call the chamber of commerce in your community as they may have a more reliable recommendation than you’ll find on a website ad. For example, some hospitals and urgent care centers provide drug testing services but may not advertise that online. If you do search online consider using a keyword phrase like “drug testing services near me” or “employee drug screen in [town]”. Then, ask about their prices, including a package price if you send all your drug tests to them exclusively. Drug test pricing can vary significantly, and you might be able to negotiate a volume discount. The Society for Human Resource Management (SHRM) advises that you can expect to pay between $10 and $30 for a single basic drug test. However, this can increase depending on the number of substances you test for or the kind of test you use. Costs may decrease with volume discounts. Some states, such as Florida, Ohio, and Kentucky, also offer employer incentives for drug testing that can help reduce your drug screening costs. Once you’ve confirmed your state laws and found a certified facility, make your employees aware of being tested in advance. Consider adding a drug testing policy to your employee handbook and reviewing it upon hire. Alternatively, notify candidates when conducting interviews that you’ll drug test prior to hire. Next, you may wish to notify employees of a positive drug test result and give them an opportunity to retake the test, perhaps in a different way. For example, let’s say the employee failed a saliva drug test. You could ask a lab to confirm the test using a urine sample before you take action, such as employee discipline or termination. Perhaps you don’t yet drug screen employees because you don’t know how to create a drug screening policy? We offer templates below. If you’re going to drug screen your employees, then we recommend you provide a substance abuse and drug testing policy so that expectations, responsibilities and consequences are understood clearly. 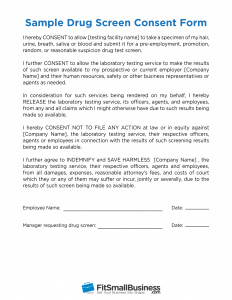 You may download a free sample substance abuse and drug testing policy as well as a drug screen consent form below. Disclaimer: FitSmallBusiness is a provider of business information, education and resources and is not a law firm. Therefore, please have any policy documents reviewed by your business attorney familiar with applicable state and federal laws before publication and use. Drug testing within the workplace has shown to reduce absenteeism and improve worker productivity. It also tends to reduce workers compensation claims. According to the SHRM, more than 50% of all employers who do drug tests screen during the application process — pre-employment. “We find that employers typically drug screen employment candidates after an offer of employment is made. The offer of employment is contingent upon the candidate successfully passing a variety of screens, including a background check and a drug screen. Pre-employment drug testing is a tool for employers to protect the safety, health and welfare of employees as well as the general public. Drug testing programs can help reduce employee injury- and illness-related costs, including medical care, sick leave and disability benefits. Drug screening is also recommended on a random basis, based on reasonable suspicion and after workplace accidents. However, as mentioned above, be aware of state laws in all the states where you employ workers to be sure that pre-employment drug screens are allowed. For instance, privacy laws in California mandate that pre-employment drug screening be consistent and uniform so that no employment discrimination occurs. That means you can’t just drug screen workers of a certain age or protected status. You would have to drug test all new hires doing a similar job in California. Another common reason that some employers drug test employees is because the employee is behaving in such a way that a manager suspects substance abuse. It’s called “reasonable suspicion” or “probable cause.” For example, if your sales representative gets in a car accident after a business meeting, could alcohol be to blame? If your best forklift operator suddenly crashes into a storage rack, might it be a drug-related? In some states, reasonable suspicion is the only valid reason that drug testing is allowed after an employee is hired. In some states, random drug testing is permitted in addition to drug testing for reasonable suspicion. Of course, random is random, meaning you can’t single out one person for drug testing based on a hunch. If you do, you’re likely to be in violation of anti-discrimination laws from the Americans With Disabilities Act of 1990 (ADA) to the Age Discrimination in Employment Act of 1967 (ADEA) or other labor laws. 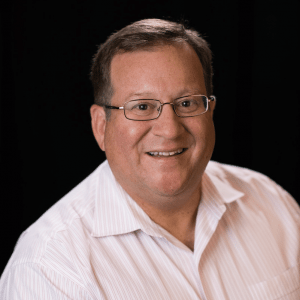 “As a business owner, we need to take the right security precautions when it comes to our potential employees and for the good of the performance of our company. Similar to a new hire, a few companies like to drug screen employees as part of a promotion process. They do this to ensure that the employee is drug-free before they give him or her more responsibility, such as access to a business bank account or direct supervision of staff. The U.S. Department of Transportation (DOT), mandates drug testing for transportation-related jobs, such as airplane pilots, taxi drivers and anyone with a commercial drivers’ license (CDL) as well as people who work in emergency-response roles. If your business operates within any industry under the jurisdiction of the DOT, you’ll need to abide by its specific guidelines. I overlook drugs that show up as a result of an employee’s medication regimen. Even in states where recreational use is legal, it remains illegal at the federal level. Employers may still choose to screen for it. However, it may be risky to terminate someone for their nonwork-related recreational drug use in those states if the employee shows no impairment. Similar to alcohol or smoking, recreational drug use need not be tolerated on the job. However, some employers are choosing to either omit the cannabis test or overlook the test results. This is partly because cannabis remains in a person’s system for up to 30 days. Testing can vary from having an employee blow into a tube to having a worker submit a blood sample. Some drug screening tests, such as urine, are easier to obtain. Other kinds of drug tests are more precise, able to detect drugs used within the past four hours. We’ll review five common drug screening tests that can be requested. 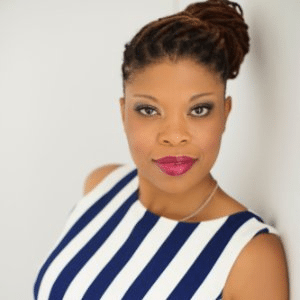 Quest Diagnostics, used by Karrion Lalor, suggests a urine test is the only DOT approved testing method. CleanFleet, another drug testing agency focused on the transportation industry, confirms urine testing is the most common because it shows recent drug use — within one to five days. About 95% of all pre-employment drug tests are done by urine at an average cost of about $40. However, a urine test can’t detect drug use within the first four hours. So, in that case, a saliva test may be a better screening method. Saliva testing is helpful if you need to know whether drugs have been used within the last 24 hours. It’s accurate, typically costs less than $15 per worker and admissible in most states that allow testing of body fluids. Although you can purchase these tests online and administer them yourself, doing so may be a violation in states that require a third-party testing facility or certified lab. These tests monitor blood alcohol content (BAC), according to The Balance, and are another low-cost option that can be administered directly by the employer in states that don’t require testing be done by a certified lab. Test kits can be bought online for as low as $7 for a blow tube to more than $100 for an alcohol breath-testing device. WebMD states that blood testing isn’t as reliable as urine testing for drug use, and it’s much more expensive, up to several hundred dollars per test. In addition, some individuals have a fear of needles. In general, blood testing for drug use is best saved for when the employee is unconscious, such as after a significant vehicle accident or workplace trauma. According to OHS, the benefit of using a hair sample is that it can test for drugs as far back as 90 days. However, it’s far more costly at more than $100 per test. You might consider this test if you’re hiring for an important role, such as health care worker or executive. You’re in a tough spot as a business owner. 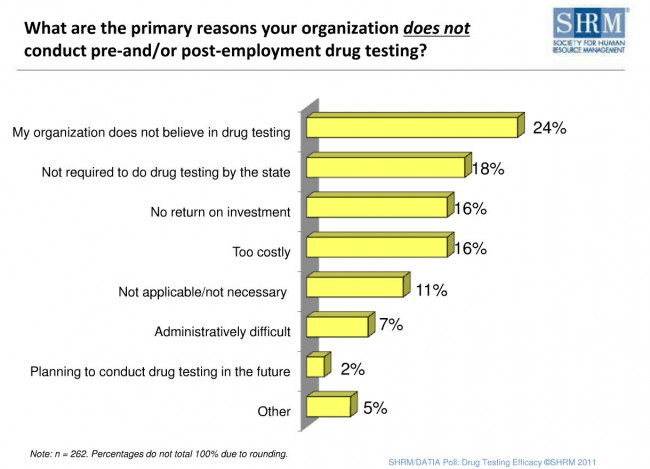 If you drug test but don’t do it right, you may have upset employees. If you don’t drug test and someone gets hurt by an intoxicated employee, you’re liable as well. We’ll provide the risks of drug screening vs. not drug screening so you can make the best decision for your situation. The biggest risk of drug screening is that private health information may be shared in violation of HIPAA, putting your business at risk for a lawsuit. Another risk is that you may terminate an employee based on a drug test, and subsequently find yourself in a wrongful termination lawsuit. This can happen, for instance, if the employee wasn’t given a chance to retake the test as required in some states. Otherwise, there are many reasons that businesses don’t drug test. Some are listed on the chart below based on data provided by SHRM. However, to reduce your risk of a wrongful termination suit, be sure you have a drug policy and consistently apply it to all employees. 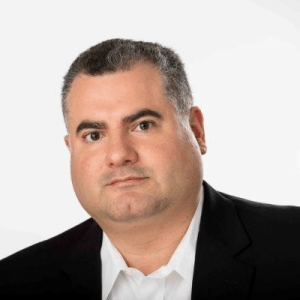 Your policy will need to emphasize that employees may not use any federally prohibited substances, such as cannabis. Your best bet if your business is in one of the states where cannabis is legal is to seek the advice of your attorney before finalizing and implementing your employee drug screening policy. In some industries, you’ll cause more harm by not drug screening your employees. Four examples of when it may be risky for your business not to drug test employees are provided below. As mentioned above, failing to abide by DOT requirements will expose you to liability if employees are found to be using prohibited substances on the job. Employers whose staff work closely with children, the disabled and older adults need to take extra care that their workers aren’t using drugs or alcohol on the job. 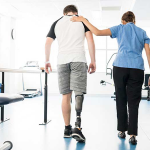 Those employers will be held liable to protect the safety of their clients, such as children in a daycare location or seniors in a recovery facility. 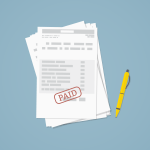 Not doing your due diligence may open your business up to liability. For example, if you’re in a service industry and your electrician shows up to the job intoxicated, this may put the customer and their home at risk. Because of this, the customer could sue you for damages. It’s best to prevent drug use by screening service workers and workers who typically come in contact with customers, especially in their home. Your worker’s compensation costs may go down as much as 47% if you have a policy of drug screening employees. Also, your insurance company may give you a break on rates for business liability or employee life insurance. Reducing insurance risk while saving money is a good reason to drug screen employees. I have not used drug or substance screens (such as alcohol) in the past but, going forward, I will. I had a hire where a screen might have saved a lot of time and misery trying to figure out the erratic productivity of a key staff member. 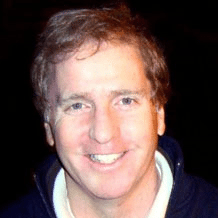 — John Kinskey, President and Founder, AccessDirect, Inc.
As long as it’s legal in your state and you follow the rules, drug screening is a terrific way to improve productivity and reduce costs due to absent employees or workers compensation claims. Of course, it’s also mandated in certain industries. Just be sure you check your state rules on drug screening to make sure you do your drug testing by the book.